Problem: Is your market growing or is it shrinking? Do you know what drives your volumes? Your outcomes? How do you know your health system is taking good care of patients? Case mix, payer mix and case weights can tell you a lot about the services you are providing. How easily can you draw conclusions about the value of your healthcare on your market? 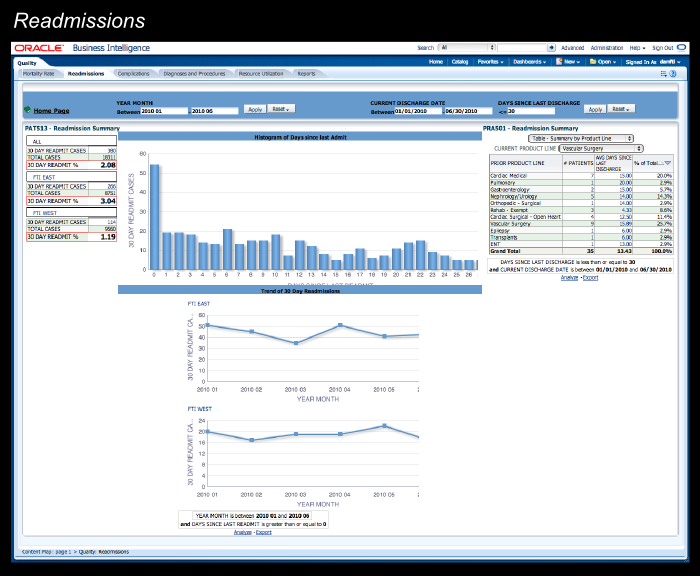 Solution: Aculyst delivers dashboards with the KPIs you need to grow your business and maintain it while delivering the best care in your region. Aculyst shows you trends in your volumes- where do patients come from- what insurance do they carry, what did you do for them, were they readmitted- how long did they stay- who was the provider? How valuable is one admission versus another in terms of case mix, payer mix and what resources your patients are most likely to use. The interoperability you need for PHM is delivered by Aculyst with integration of your EMR, ERP, clinical, quality and workflow tools. Result: Population health management requires better IT solutions in order to understand how to improve outcomes through disease management, care management, and demand management. Providers and organizations will begin to see data to analyze morbidity patterns and predict financial risk. Both clinical and financial outcomes are improved by comparing patient data against quality guidelines and identifying care gaps.